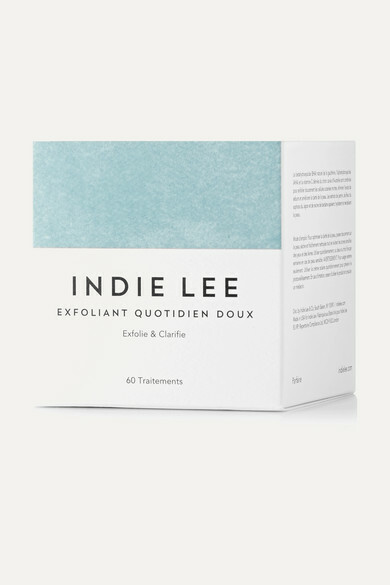 Indie Lee's daily peel pads are a gentle way to exfoliate skin without irritation. Powered by natural Alpha and Beta Hydroxy Acids derived from plants like Wintergreen and Australian Caviar Lime, this treatment buffs dead cells and minimizes the production of excess sebum to balance and improve your overall complexion. Vitamin C brightens while Jasmine soothes redness and Burdock Root boosts hydration.